Line Up Game - Icebreakers, Icebreaker Ideas, Games, Activities! Line Up! 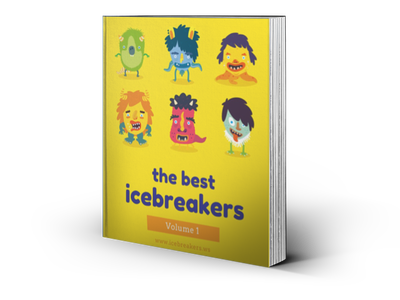 is a fun icebreaker that can be useful for camps, workplace bonding, or other large group events. Work together as a team to arrange yourselves in a line based on a quality you have that is not obviously apparent. Examples of qualities to arrange to are alphabetically by middle name, chronologically according to birth date, or house number. Younger children could try something easier, such as arranging by height, because they may not all be able to recite the months of the year. This icebreaker starts as chaos, and ends with order as all participants work together to discover the facts they need and arrange themselves accordingly. Line Up works best in a large open space where participants can move around freely. This is an icebreaker that is ideal for very large groups because the leadership required scales appropriately with the number of players. Smaller groups can still use this icebreaker, but the game is not as difficult with under 10 participants. Line Up is an engaging activity that can help group facilitators pinpoint natural leaders that emerge as the game is played, although every participant is an important part of the game. Call the group to order. Explain the rules of the game and explain the quality that they will line up according to. For example, line up in the order of your birthdays, with January 1 being the furthest to the left and December 31 being the furthest to the right. Do not help the group or give them hints as to how to organize themselves. Participants may use any objects available in the room to help them if they request them. When the group believes that the line up is correct, they will start at one end and call off their birthdays. Down the line, every participant will name off their date. The game is won if the line is correct. If the line is incorrect, give the players another quality to line up to and allow them to try again. The tricky part of this game is getting a group of people who don’t know each other to establish leadership. If no one steps forward and starts to make leadership decisions, it will be very difficult for the players to line up. If too many people step forward with opposing leadership strategies, it will be difficult to find cohesion as each leader struggles to get buy in from the rest of the group. Line Up works particularly well with groups of people who don’t know each other. In a group that is more familiar with one another, it won’t take long for them to decide the leaders because they have previous experience with each other’s leadership skills.